Hey guys! 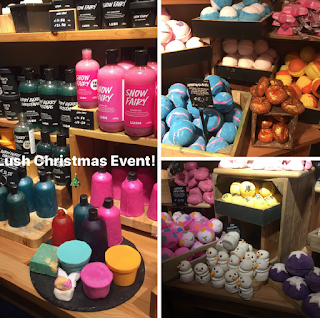 A few weeks ago, I was lucky enough to be invited down to the Lush Christmas Event, where I got to see the Christmas collection, watch demos of the new products, and even made a Butterbear bath bomb! 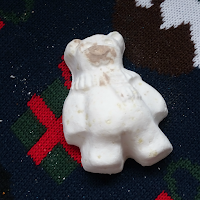 We all know how products in general tend to be so over-packaged, and around Christmas there is even more waste. This year, Lush has expanded their range of 'Naked' products to help reduce this waste. What this means is that certain products come with no packaging at all. With the Christmas range, there are now 'Naked' shower gels, lip scrubs, body conditioners and a shower cream available. The lip scrubs do come in a little cardboard box for storage, but the rest of the products are completely free of packaging. I just ran out of my Bubblegum lip scrub a couple of weeks ago so I picked up one of the naked ones on Monday and so far I really love it! As much as I love the scrubs in the jars, it is such a pain to get the product out of the jar sometimes and I find the solid version much easier to use, plus it's better for the environment! 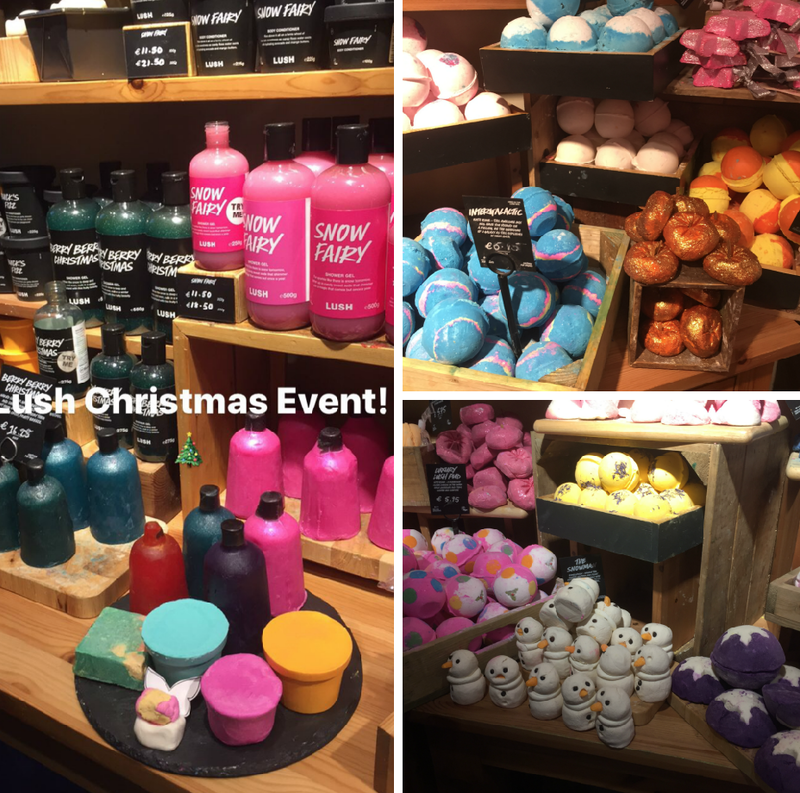 Other than the naked products, Lush has the usual assortment of Christmas themed bath bombs, bubble bars, shower gels/creams, gift sets etc. We've got the Candy Mountain bubble bar, the Snowman bubbleroon, and the Magic Wand reusable bubble bar, to name a few. I went back a couple of days after the event and picked the Santa's Christmas Shower Cream and the new Snow Fairy Jelly Bomb (which turns the water jelly-ish). I love the shower cream so much: it smells amazing (cola!) and it's super moisturising. The only qualm I have with this product is that I find it difficult to actually get product out of the bottle in the shower. Next time I am definitely going to go with the naked version. I have to be honest, I was a little bit disappointed with the Snow Fairy Jelly Bomb. I was expecting it to turn the water a little more jelly like than it did, because the demo at the event the jelly water was a good bit thicker. Of course, the demo was in a much smaller body of water, but I was still hoping for a little more. On the plus side though, it smells incredible! Also launched with the range are the sparkle jars. These are essentially massage bars, with glitter inside them. You just poke holes into the dimples and shake out the glitter! At the end of the event, I was gifted The Man in the Moon gift set so I could try out some of the Christmas products. All of the products smell incredible and I can't wait to use them (I've already used up the Magic of Christmas bubble bar!). I want to say a huge thank you to Lush for inviting me down to the event. I had a great evening trying out the range, seeing the products in action, and chatting with Hannah from Lush PR and the Grafton Street store staff members! Hey everyone, today I'm sharing my Booktube-A-Thon 2017 wrap up. I managed to complete all seven challenges, with a day to spare! And I know this is late, but is anyone really surprised? The first challenge was to read a book with a person on the cover and for that I chose Sailor Moon Vol.4 featuring Sailor Jupiter on the cover. I bought both boxsets back in 2015 and only got around to reading the first three before the usual distractions came into play (college assignments, exams, summer internships etc). I've loved the anime since I was a child and I love the manga just as much. I gave this 5 stars on Goodreads. Challenge number two was to read a hyped book and for this I chose Caraval by Stephanie Garber. This book is about a show/game, Caraval, that's supposed to be really magical and exciting. Our main character, Scarlett, has always wanted to go and then one year she gets tickets. Her sister, Tella, basically kidnaps her so they can go. Scarlett decides to stay for just one day but then her sister gets kidnapped and it turns out this years Caraval mystery is finding Tella. I had heard so many good things about this book over the last couple of months, which made it perfect for this challenge. Unfortunately, I didn't think this book was worth the hype. I'm not saying it was bad, it just wasn't amazing. It was so good in the middle but the beginning was kind of slow and I found the end really disappointing. I also wasn't a huge fan of Tella, I thought she was super annoying and, to be honest, I didn't really care if Scarlett found her or not. The third challenge was to read a book in one day, and for this I picked up Peter Pan by J.M. Barrie. 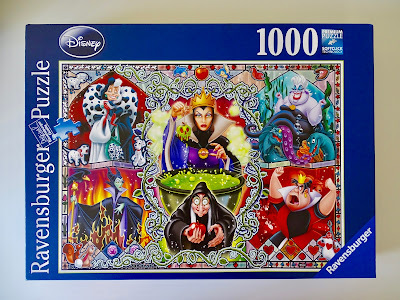 Now, I love the Disney film and I did like this book, but I found it slightly weird. From children happily killing pirates to mentions of fairy orgies, this book was very odd. For the most part, it was an enjoyable book, if slightly slow at times. The next challenge was to read a book with a character different from you. For this I chose the Fantastic Beasts and Where to Find Them screenplay, more because I wanted to read it and it fit into the challenge (there weren't really any rules here, the character could be different in any way). It was a quick read because of the format. There's not much else to say other than I really enjoyed it. Challenge number five was to read a book completely outdoors. For this, I picked up The Tales of Beedle the Bard by J.K. Rowling because it was rather short and I wanted something I could get through fairly quickly. Don't get me wrong, I love being outdoors, but I prefer to go for a walk rather than sit and read. The first time was grand, but repeat it five or six times and it gets frustrating. If not for the pretty cover, I would have thrown this book across the room multiple times. The final challenge was to read seven books and for my final book I chose Winter by Marissa Meyer. This is the final book in the Lunar Chronicles series, which I also started reading back in July. I loved the rest of the books in this series so much and this book was no exception. I only wish there were more Cress and Thorne chapters because they are hands-down my favourite characters! Either way, I loved this book so much that I ordered the graphic novel, which will hopefully arrive very soon (Winter put me in such a reading slump, which I think only Wires and Nerve will get me out of!). I'm so glad I decided to take part in the Booktube-A-Thon because the challenges made me finally get around to some of the books that I've had on my shelf for a while! Booktube-A-Thon 2017 Info & TBR! Over the last two months, I've really started to get back into reading. I used to be a big reader but I've been in a massive reading slump over the last 2-3 years, reading maybe 4-ish books across then. This year though, since April, I've already read over 30 books, and I really attribute this to getting into watching Booktube videos. So this year I've decided to take part in Booktube-A-Thon! 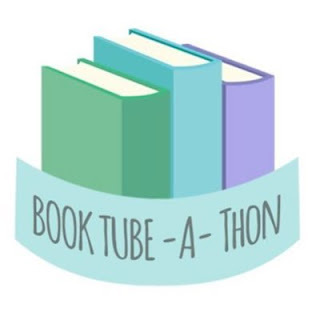 Booktube-A-Thon is a week long readathon, hosted by Ariel Bisset on Youtube and starting on July 24th until July 30th. There are reading challenges, video challenges, Instagram challenges and Twitter sprints, with prizes to be won for the latter three. The event starts at 12am wherever you are, and the daily challenges are posted at 12am est (which is 5am here in Ireland). Each daily challenge is open for 24 hours. I am so excited to take part in this readathon! 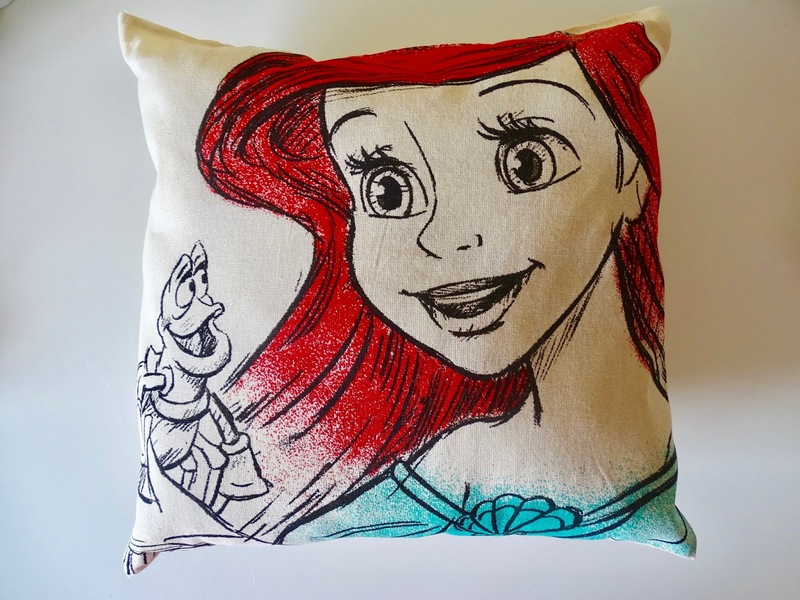 Disney Day - DIY Cushions! 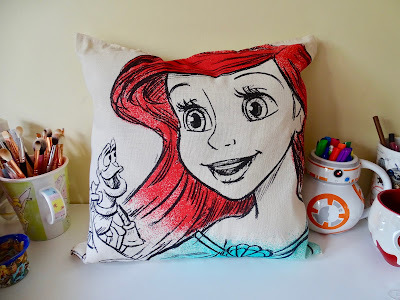 So I shared these cushions on my last post and someone asked if I could put together a post on how I made them, so here it is! They're really easy to make, and don't take much time either! The things you will need are a Disney canvas tote bag (you can get these particular ones in Dealz/Poundland if you're in Ireland or the UK, but Penneys/Primark do some too), a stitch ripper, some stuffing (I bought a cushion from Dealz, ripped it open and used the stuffing) and a needle & thread. 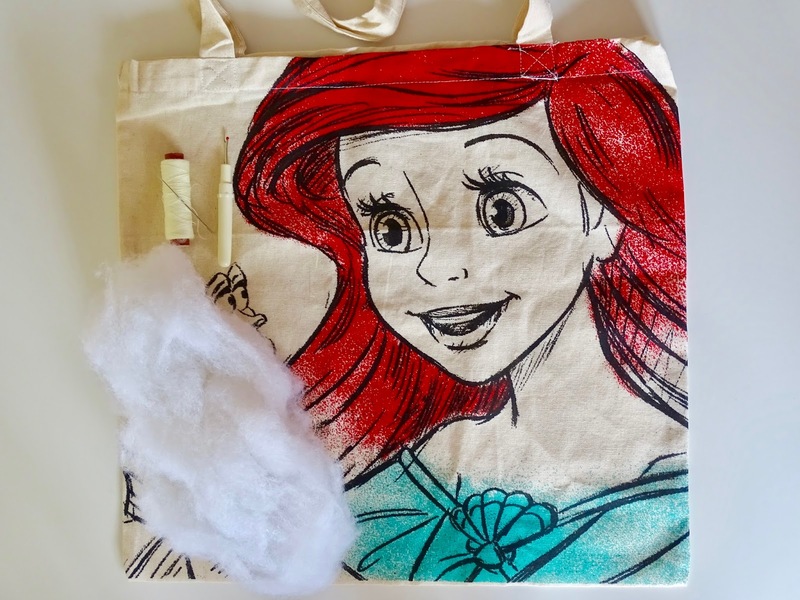 The first thing you need to do is rip the stitches at the top of the bag. Then rip the stitches that secure the straps. Finally, and this is optional, turn the bag inside out and remove the tag, then stitch the gap the tag leaves closed. I like to remove the tag because it shows through otherwise. After removing all those stitches, open up that top fold and iron the bag to remove all the creases. Put your stuffing into the bag and stitch the top closed. And that's it! Quick and easy, and they look great! Hi everyone, welcome to the first of two Disney Day posts this month! This week I've got my April & May haul, as well as some Disney books I've read and movies I've seen. First up is this adorable BB-8 salt and pepper shaker! I was in town one day to meet some friends, and decided to pop into Forbidden Planet because I was early and they had a bunch of Star Wars stuff on sale and I knew as soon as I saw this that I just had to have it. 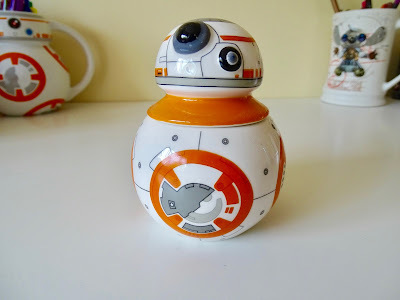 He was only €5! When I went to America this past November, I stumbled upon the Coach x Disney collection and fell head over heels for the card holder in the collection. But at $65 it just didn't seem worth it at the time, so I left it behind. Worst decision ever. 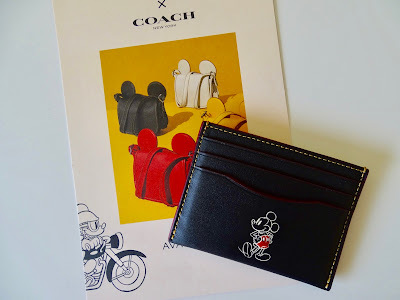 I was only starting to get over my bad decision when I got a Kildare Village newsletter that said they were releasing the outlet collection. Best thing about this collection is that it is currently 30% off at Kildare Village, so it's only €35-ish! 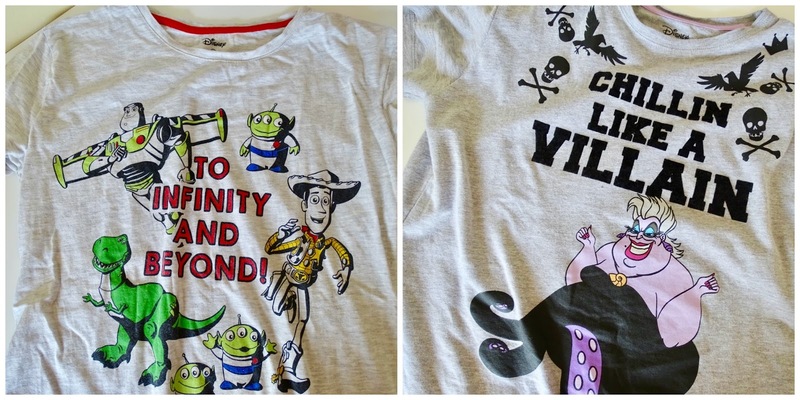 I was in the UK for just over a week back in May and I picked up these two nightshirts while in Primark. They are so comfy, especially the Toy Story one (it's so soft!) and I love that the length. They were only £5 too! 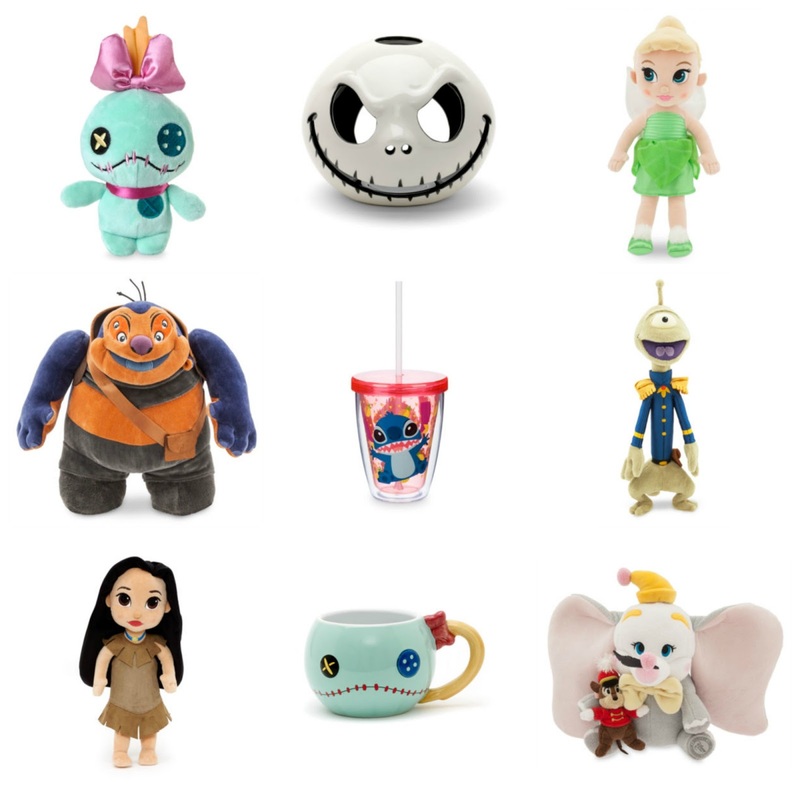 Unfortunately, I don't think we have these two styles in Penneys, but we do have other Disney characters. I was a little Toy Story crazy in May so I picked up these socks from Penneys. 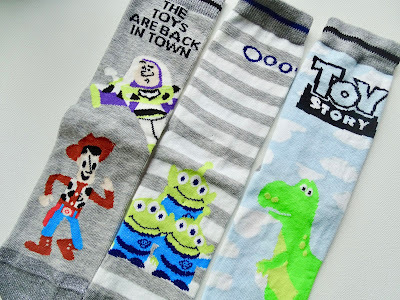 I love the alien ones most, but I also love that all of them have a secret alien at the top back of the sock! These were only €3.50. The first book I've got is Fairest of All by Serena Valentino. Basically, this is the backstory of the Evil Queen from Snow White. It really explores her transition into the Evil Queen and her struggle with that transition. 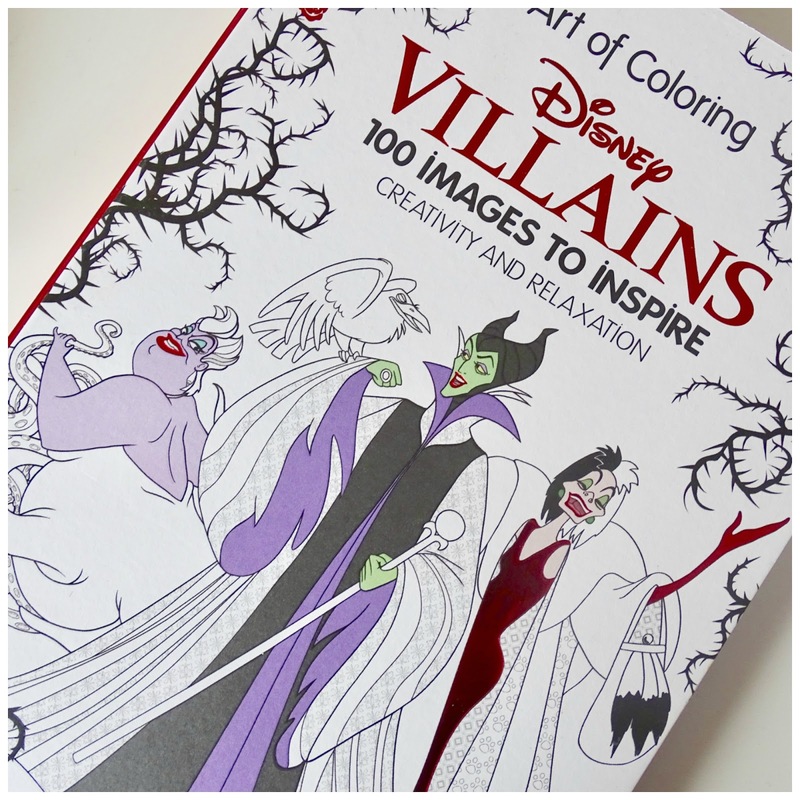 I loved that this book really fleshed out the character of the Evil Queen. 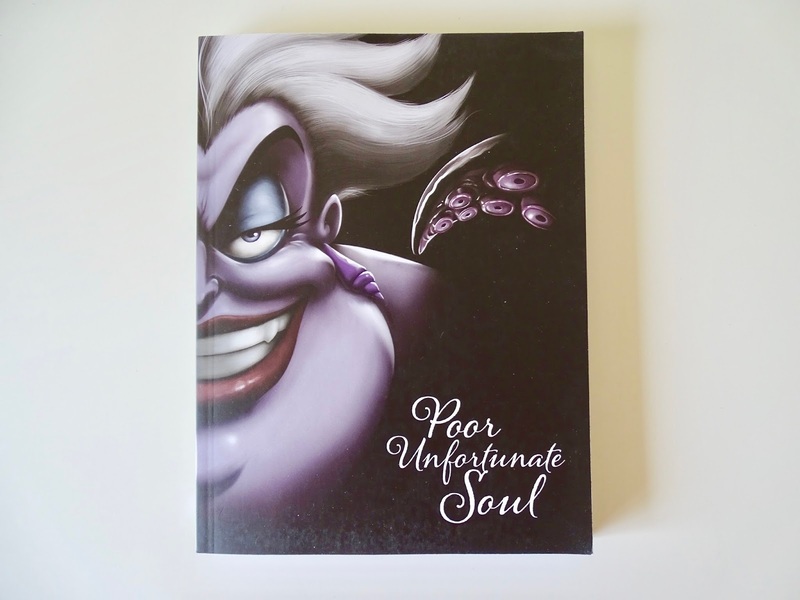 Poor Unfortunate Soul is also by Serena Valentino and is the third book in the series. When I bought these two books, I thought they were all standalones, which is why I skipped The Beast Within. 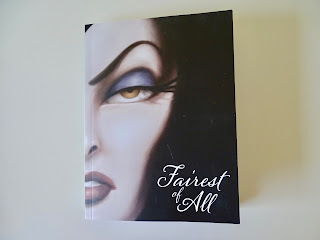 I started reading this and noticed connections between it and Fairest of All and references to The Beast Within. I was about halfway through when I decided to Google the author to see if she was writing more Disney Villain books when I found out that it was a series and certain things in this book can be a little confusing if you haven't read them The Beast Within. So I've ordered it and will be finishing this when I'm done with that one. I will say though, even being slightly confused at certain points, I was really enjoying this and can't wait to pick it up again. 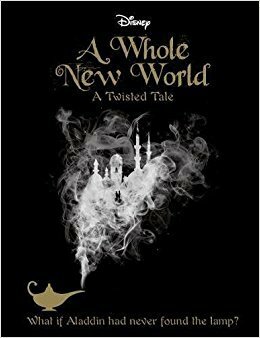 A Whole New World by Liz Braswell is the first of her Disney Twisted Tale books. Each of these books are standalones, unlike the above mentioned books. 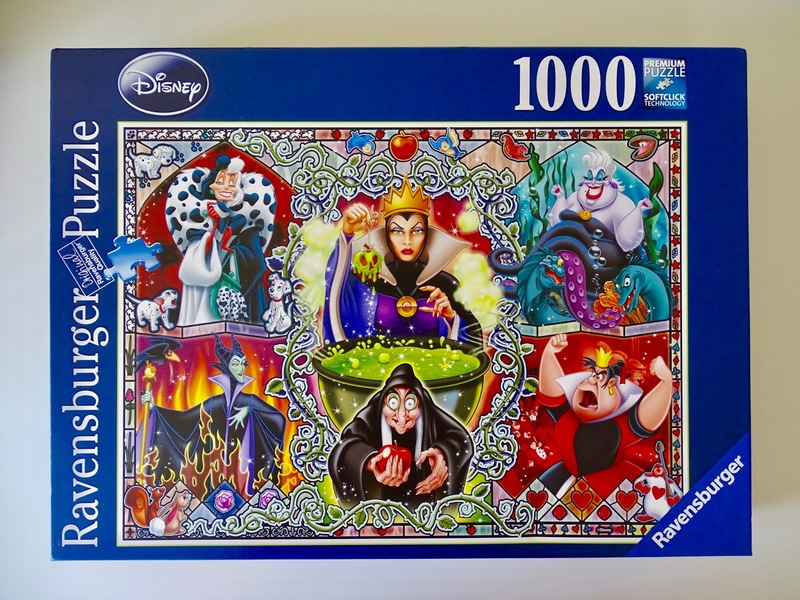 The first third or so of the book follows the movie and then comes the twist: what if Jafar got the lamp earlier than in the film. In short, all hell breaks loose over Agrabah. This was an interesting read, and I did enjoy it, but it didn't really feel like the characters were the same ones as in the film. 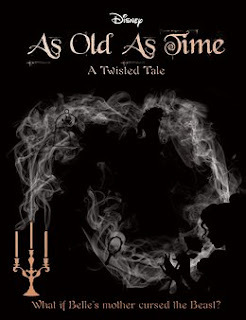 As Old as Time is the third Twisted Tale novel by Liz Braswell, which is Beauty and the Beast with a twist. I loved this book so much, it was far more interesting than A Whole New World and I felt it was much better written too. I loved that part one of the book switched between past and present: there were chapters revolving around Belle's parents and the kingdom they lived in and why they had to leave, each followed by a Belle chapter which followed the movie plot. The final chapter of part one is where the twist comes in and then parts two and three deal with the ramifications of the twist and the mystery of what happened to Belle's mother too. Also, unlike in A Whole New World, I felt like the characters were the same as in the movie, the twist didn't cause them to entirely change. I've ordered the second novel too, which is about Sleeping Beauty (but, obviously, with a twist). I didn't grow up watching Beauty and the Beast. The first time I saw it was, I think, when I was in my late teens. Honestly, I had no strong feelings for it at all. So when I heard about the live action remake, I wasn't expecting much. But wow, this film really blew me away. I loved (almost) everything about it: the cast, the costumes, the sets, the songs. The only thing I didn't really like was the Beast himself, I thought he was a bit cringey. Everything else though? Amazing. My favourite two characters were definitely Gaston and LeFou, they were hilarious! I loved this so much that I went to see it in cinema a second time, which I'd only done once before! I'm a huge fan of the Marvel Cinematic Universe, and I'm always so excited for their new releases. While I really enjoyed Guardians 2, I thought it wasn't anywhere near as good as the first one so I was a tiny bit disappointed. The last new Disney movie I watched was the latest film in the Pirates of the Caribbean franchise. While enjoyable, it was similar to the fourth film in that it was a little forgettable. I did love that they brought back Orlando Bloom and Keira Knightley, even though they had small roles, and I hope in the next film ('cause let's face it, this franchise isn't ending anytime soon) they ditch Will and Elizabeth's kid and just keep them instead. 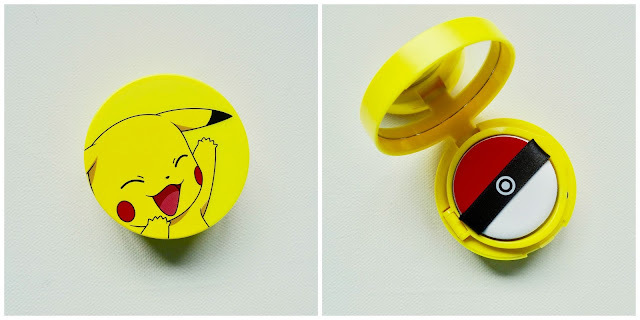 Calling all Pokemon fans! 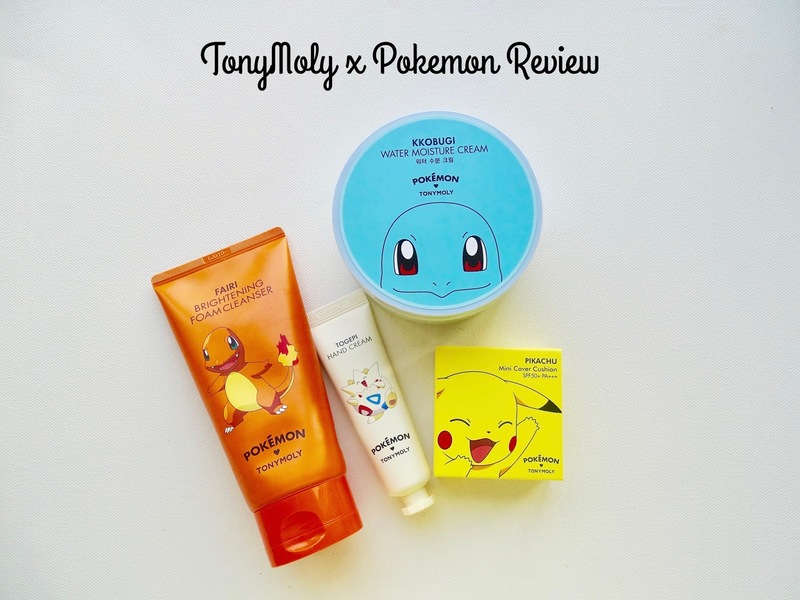 Today I have reviews of some of the products from TonyMoly's Pokemon collaboration! I think this collection has been out since maybe October. I only heard about it in November, but placed an order as soon as I discovered it! I got all of these from eBay, but they're also available on a ton of sites that sell Korean cosmetics, like cosmetic-love.com and beautynetkorea.com. 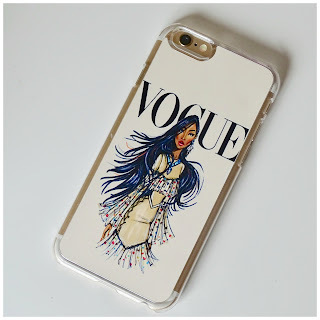 If you're looking for the best prices, eBay is the way to go. I've put eBay links in the name of each product below. 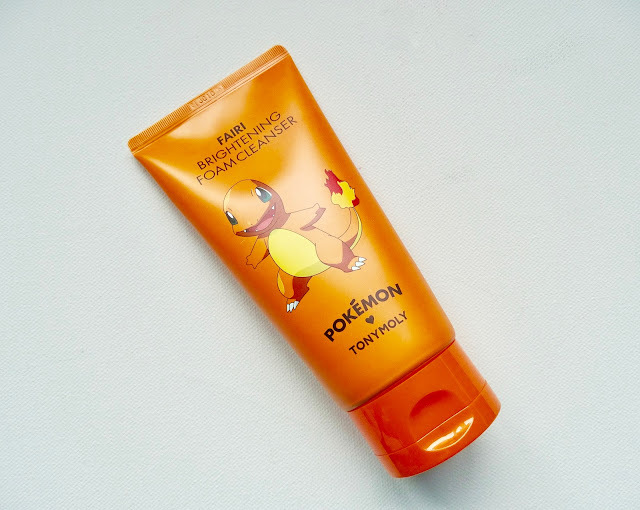 First up is the Fairi (Charmander) Brightening Foam Cleasner. Out of everything I got from the collection, this is my top pick. It really does a great job of getting my makeup off, leaving my skin feeling squeaky clean! I went in with a makeup wipe after to see how much it was getting off, and was happy to see very little coming off onto the wipe! I also did this with a toner a couple of times, and again had very little coming off. The only negative thing I can say is that the scent is quite strong, so if you are sensitive to scents, I would avoid this. Personally, it doesn't bother me that much, and I actually quite like the grapefruit scent! 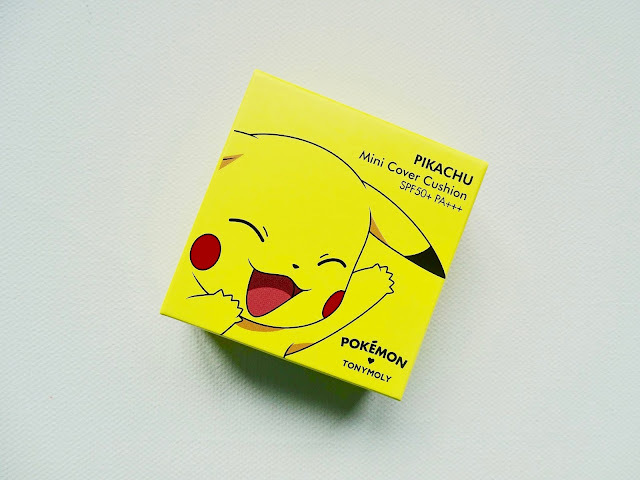 There are three other foam cleansers in the range: a moisture one (Pikachu), a hydrating one (Squirtle) and a pore one (Bulbasaur). I've read a few reviews on the pore one that say that it tends to strip your skin of oils and is really drying, so if you're thinking of getting one of these, maybe avoid that one! 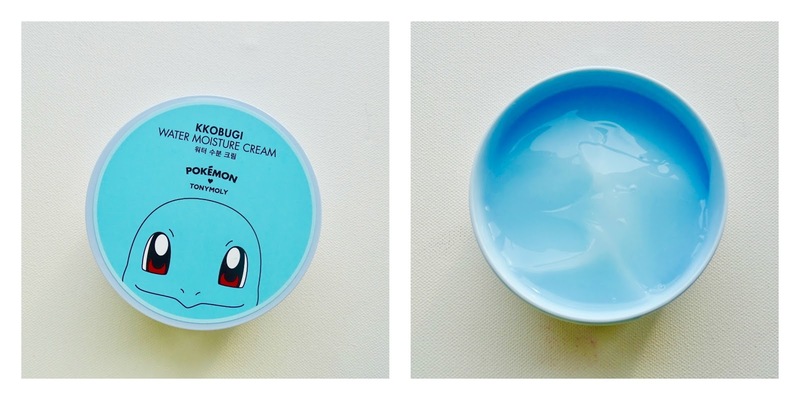 Next up is the Kkobugi (Squirtle) Water Moisture Cream. My skin tends to be on the drier side, which is why I went with this particular one. The consistency is really thin (more like a gel than a cream really) and a little goes a really long way. You get 300g in the tub, and I feel like it'll last ages (I've barely made a dent and I've been using it for weeks! ), although it says you can use it for the body too. If you do you might get through it quicker! The product spreads onto the skin really easily and absorbs into the skin quite quickly. It feels really cool and refreshing. The scent really reminds me of an IOPE cream I had a few years ago, but nowhere near as strong. Rather, here you just get a hint of a scent. Right off the bat, it doesn't feel like it's the most moisturising cream in the world, and at first I thought it was kind of average. But over the weeks since I've started using it, I have noticed that my skin has become less dry, especially around my forehead (which is where I tend to get the most dryness). When it comes to cushion foundations, if the packaging is cute, I have to buy. And the Pikachu Mini Cover Cushion has the most adorable packaging ever, so you know I had to grab it! 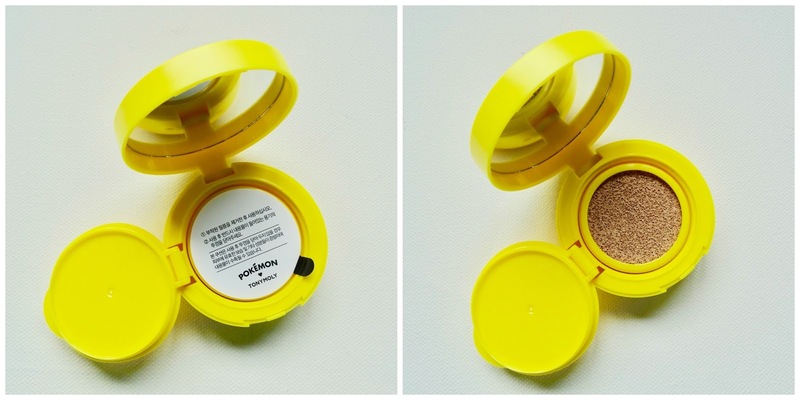 The cushion is a lot smaller than your usual cushion foundation (hence the word 'mini' in the name), and that brings can be both good and bad. The pro is that it's really convenient to toss into your bag and bring along for touch ups. The con is that the smaller size of the puff makes it a little more difficult to use, and I found it a lot less comfortable to use than regular sized ones. But like with anything in makeup, once you get used to it, it's ok! The shade range is really limited, with there being only two shades: #1 Skin Beige and #2 Warm Beige. I went with the darker one, warm beige. The first time I applied the product, it looked really ashy and pale. Quite honestly, I kind of looked like a ghost, and took it off almost immediately, because I was so taken aback! Then I remembered that these cushion foundations, and Korean BB creams in general, have a tendency to oxidise throughout the day, so I kept an open mind. I've tested it out a good few times since and, in short, I quite like it! As mentioned, when first applied it looks a bit light and ashy on me. After about an hour it oxidises a little, and looks more bright than light. The finish is very slightly dewy, nothing crazy. It offers light coverage, and actually looks quite lovely and natural on the skin once it settles in and isn't giving off ghost vibes! Around 6 hours in, it still looks quite nice, and really natural and it's when I hit about eight hours that I notice it starts to fade away a little. At this point, you can simply touch up. On me, adding another layer at this point, thankfully, didn't make the product look in any way cakey! There is SPF 50 in this foundation, and unlike the Missha ones that I reviewed in the past, this does have crazy flash back. Flash photography will make your face look super white, so if you do have this or get this, make sure not to where it anywhere you know you'll be getting your picture taken with flash on! The last product in my little haul is the Togepi Hand Cream. There are 8 different hand creams in the range, with each different scent being represented by a different character. I chose Togepi because it's lemon scented, and I adore the smell of lemons! The product itself isn't anything special. 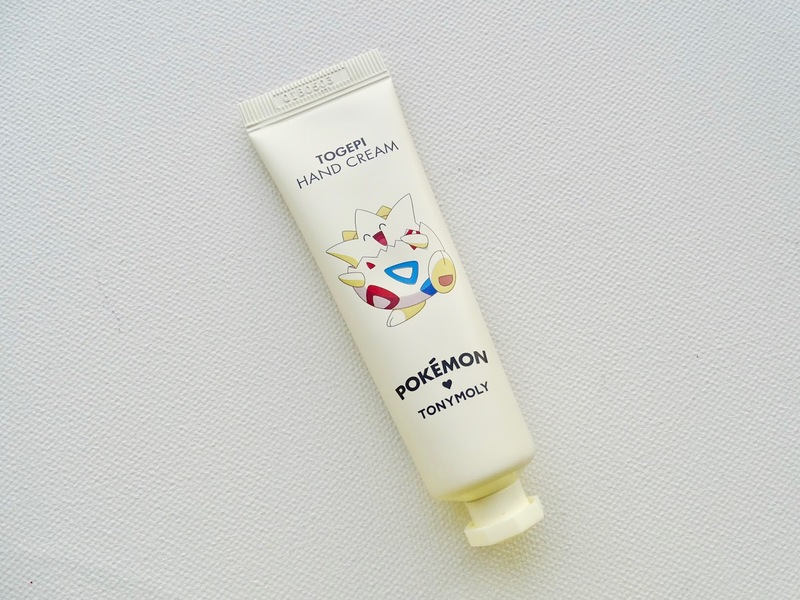 It's a pretty basic hand cream, it get's the job done. It's not as moisturising as the Soap and Glory Hand Food, so if you're more interested in the product than the packaging, it's safe to skip on this! There are also lip tints, cushion blushes, eyeshadow palettes, a face powder, cosmetic pouches, lip balms and nail polishes in the collection, so there's something for everyone! Hey guys! 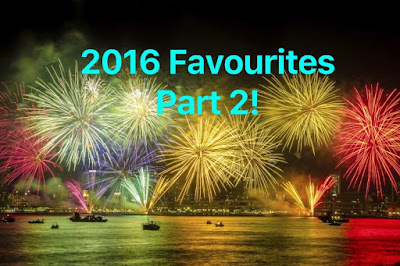 As promised, today I have part 2 of my 2016 favourites to share. This part is all the non-beauty related things I loved in 2016. I've got TV shows, movies, apps, and more to share! Happy New Year! I hope you all had a great 2016 and are ready for 2017. Looking back at the past year, I can definitely say it was a really great year. Sure there were some tough times (I'm looking at you, FE1s) but I got through them and it was really worth it in the end (passed, woot woot!). Overall, the good things of the last year really outweighed the not-so-great: I had a great last semester at college, my sister got married, had a great time with a lot of my family because of the wedding (and I don't really get to see most of them often), graduation, passing my first four FE1s (the postgrad law exams), etc. I'm really thankful for the amazing year I've had!